Imam of the Tula region Rishat Davydov said that Zarechensky area is best place for mosque construction. 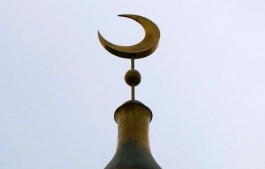 For a long time Muslims of Tula region tried to get permission to build a mosque. Former governor Vyacheslav Dudka promised to allocate an area for the construction. It was planned to build the mosque on the outskirts of Tula in Zarechensky area but in connection with the scandal surrounding the ex-governor's permission has not been obtained. According to authorities under the leadership of a new governor Vladimir Gruzdev, the area is owned by a businessman. Now local Muslims are forced to perform prayers in a small house of worship in the suburbs of the city.